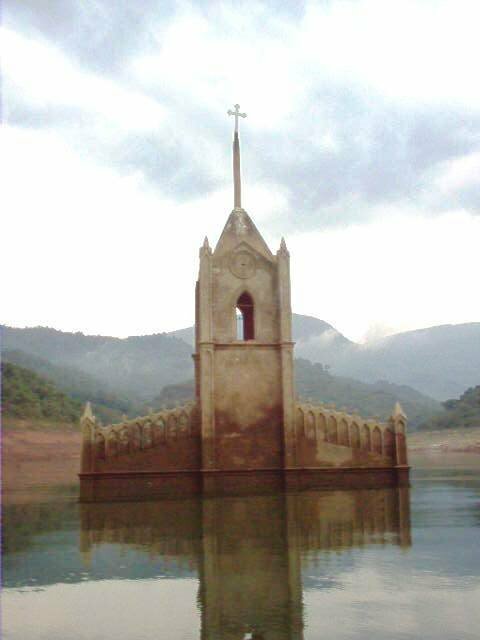 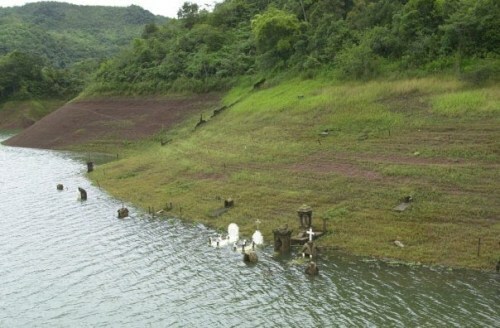 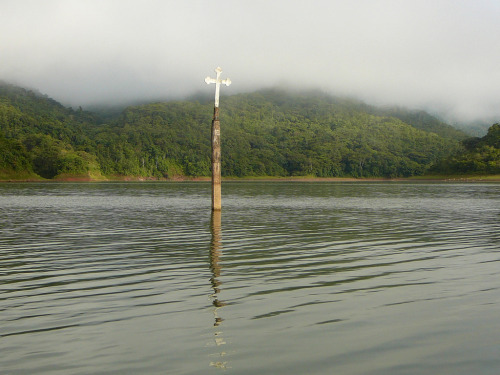 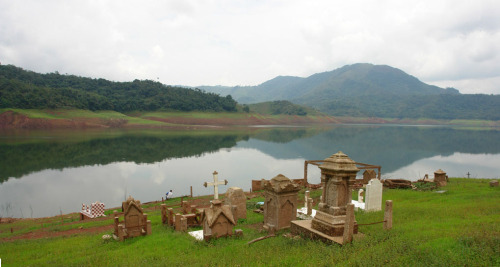 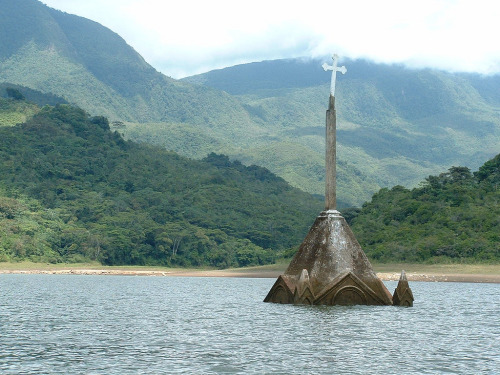 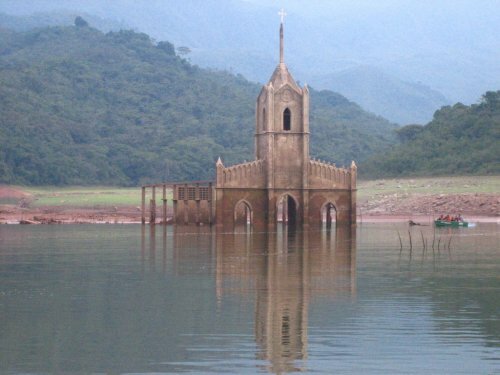 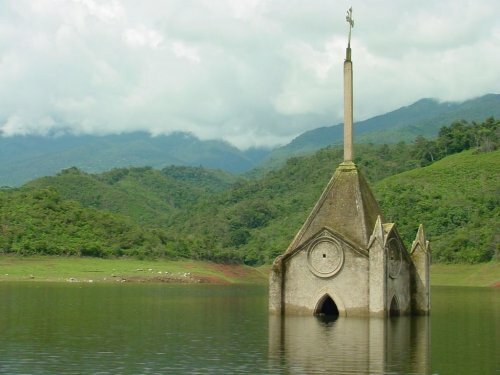 The Church of the Town of Potosi - When the Uribante reservoir of Venezuela had its waters start to recede in 2008 the church of Potosi began to show and by 2010, 25 years after the town was flooded, the entire church was almost completely un-submerged. 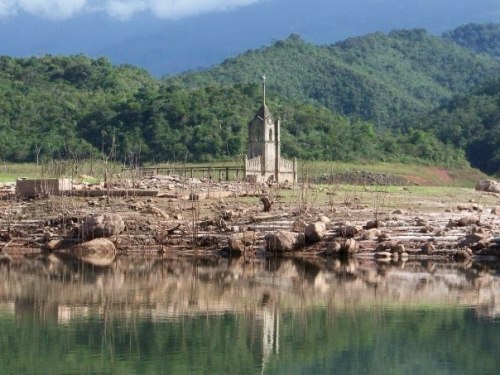 There was a 98 feet drop in the water level of the Uribante Reservoir, due to drought and weather patterns caused by El Niño. 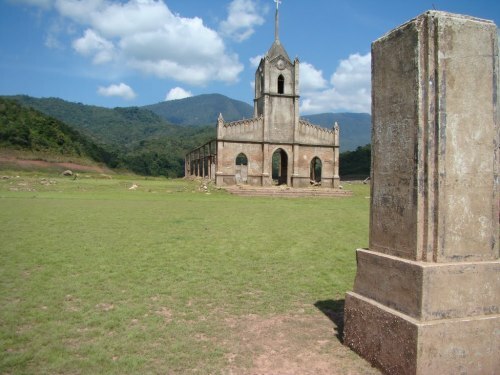 The former glory of the town of Potosi was to be seen again. 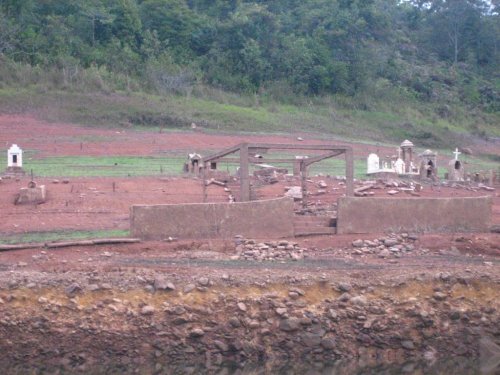 Some former resident found joy in seeing there old home again but it was not without its own sadness at how severe the drought had become.